NOTE: The Manufacturer of this product does not allow us to advertise any online price that is lower than full retail pricing. For the SALE Price of this item. 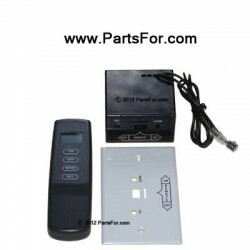 SKYTECH: 1001TH Thermostat Remote Control Kit, Includes: Transmitter, Wall Clip, Receiver, Batteries & Hardware Package.